All Pro Cleaning Service of the Nature Coast, Inc.
All Pro Cleaning Services offers commercial janitorial services to Weeki Wachee, FL. We take pride in providing quality and customer satisfaction in every aspect of the services we provide. 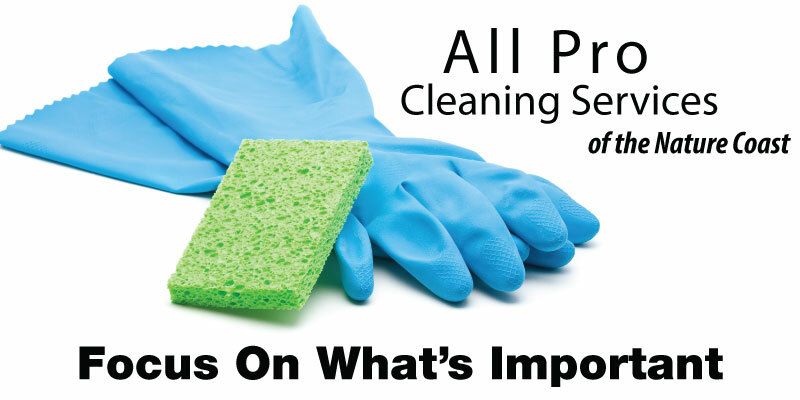 Whatever your commercial cleaning needs are, we can provide solutions at prices you can afford. From floor maintenance to refinishing, we are trained and experienced to exceed your expectations. Our friendly and courteous staff is here to answer any questions you may have about our company or our services, so don’t hesitate to give us a call. We are licensed, bonded, and insured for your protection.